This is a question that everyone who considers breast augmentation must at least deliberate. Unfortunately, many women come into Dr. Hobar’s office with a great deal of misinformation that they have acquired over the years simply by being consumers that listen to marketing paid for by implant manufacturers and from listening to urban myths about the different qualities of saline vs. silicone implants. Some have second-hand knowledge from friends or family members who want to share their experiences – both good and bad. And of course, some women, seeking an implant exchange, have first-hand experience with implants. In 1994, the FDA banned the use of silicone implants unless they were being used to replace prior silicone implants or for the purpose of breast reconstruction following a mastectomy – a removal of the breast. In 2006, after extensive analysis of studies regarding the safety of silicone implants, the FDA lifted their ban after 14 years. Since then, silicone implants have been available to any woman wanting a breast augmentation who is 22 years old or older. There are two main types of silicone implants. These are silicone gel implants and cohesive silicone gel implants. The cohesive gel implants , commonly called “gummy bear” implants, are currently approved for use only under the supervision of a clinical trial. They have not yet been approved for general use on the cosmetic market. Saline implants have never been subjected to an FDA ban. They are available to any woman 18 years or older who wants breast augmentation surgery. Even though they are made of a silicone shell filled with saline, the silicone shell was never determined to contribute to health concerns. The silicone gel linked to health concerns was the actual substance that leaked out when an implant ruptured. When silicone implants leak, it is typically referred to as a “silent rupture” because there is not always concrete visual evidence of a leak. 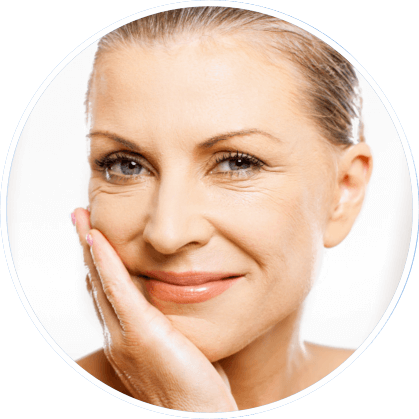 In contrast, a saline implant will deflate over a time period of hours and be naturally resorbed by the body. It is readily apparent that an implant once filled is now deflated. I opened my cosmetic surgery practice in 1990 and so I was in a unique position to see the reaction that many women had to the FDA’s ban on silicone implants. This shaped my conservative approach to analyzing what the product manufacturers marketed to me as a plastic surgeon. I am grateful that I was in an impressionable period then because my conservative approach has saved me and my patients from countless troubles over the years. I absolutely will not use a product, device or method unless I am absolutely convinced that it is safe for my patient. I offer both saline and silicone implants to my patients because I do not feel that one is clearly better or safer than the other. People get hung up on misconceptions about the implants when, in fact, what is far more important is how the surgeon does the surgery than the kind of implant used. Silicone implants have undergone far more scrutiny than most of the medical devices on the market today. If the evidence wasn’t overwhelmingly convincing that they are safe, they would have never have been approved again for use in elective breast surgery. Having said that, I do feel that there are some important differences between the two types of implants. Most of the time, if the surgery is done correctly, and if the implant is placed behind the muscle, the differences in appearance and feel should be minimal. Both should provide a natural look and feel. You don’t want the augmented breast to look or feel like an implant. You want the implant deep, supported and covered by the muscle, in addition to the natural breast tissue, any fatty tissue and overlying skin. While the muscle doesn’t cover the bottom third of the breast, if the implant is kept deep here and the woman has an adequate amount of subcutaneous tissue, it will not be seen. In a very thin woman who has minimal amounts of subcutaneous tissue in the bottom of her breasts, a silicone implant may be advantageous. Other women that might benefit from a silicone implant are those with genetic dispositions that inhibit the formation of the lower portion of the breast. For example, some women with tubular breast deformity might benefit from a silicone implant. While the incidence of an implant leaking in any given year is small, over a lifetime, the incidence of this happening is high. If a saline implant leaks, it is immediately apparent and easy to take care of – remove the implant and place a new one. The pocket has already been created and the muscle has been stretched, so it is a very quick procedure with minimal discomfort. If the implant was placed through an incision under the arm, I can easily go back the same way and replace the implant, ensuring that the breast remains free from scars. If a silicone implant leaks, it may be quite a while before the woman notices it because the body forms a layer of thick scar tissue around the leaking silicone. When it is discovered, it may be significantly more difficult to deal with. It is usually not replace the ruptured implant and remove the resulting scar tissue without putting a scar on the breast. This incision is usually below the breast, in the inframammary fold where the bottom of the breast meets the chest wall. For this reason, when all other variables are equal and a woman is not in a distinct position to benefit from a silicone implant, I generally favor the saline implant. Ultimately, it is a mutual decision made by my patient and me after a thorough discussion and understanding of the plusses and minuses that each type of implant exhibits for her. While we provide our patients with an opportunity to look through before and after photos of actual Dallas breast implant patients during their consultation with Dr. Hobar, we urge our visitors to view our interactive before and after photo gallery while visiting our website. If you have any questions about breast augmentation please send us your questionsor call our Dallas office directly at (214) 823-8423. If all of your questions have been answered and you feel confident about taking the next step towards a successful breast implant surgery you should schedule a consultation with Dr. Hobar today!